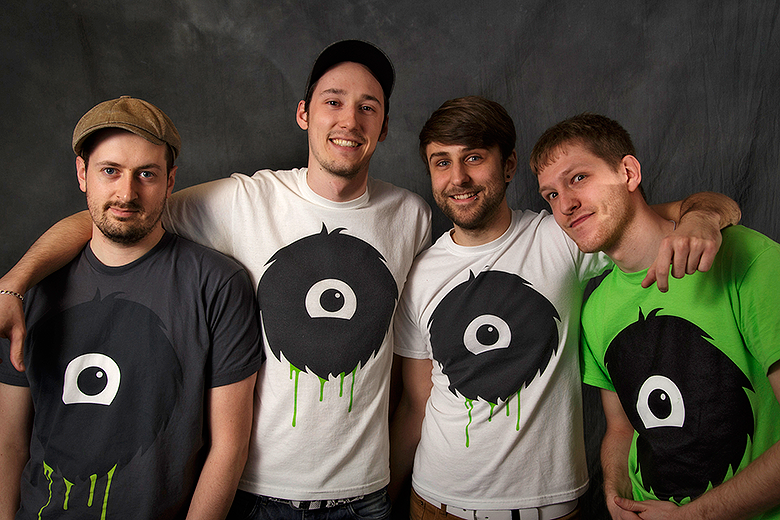 Juicy Beast is four four friends handcrafting silly and addicting video games since 2009. 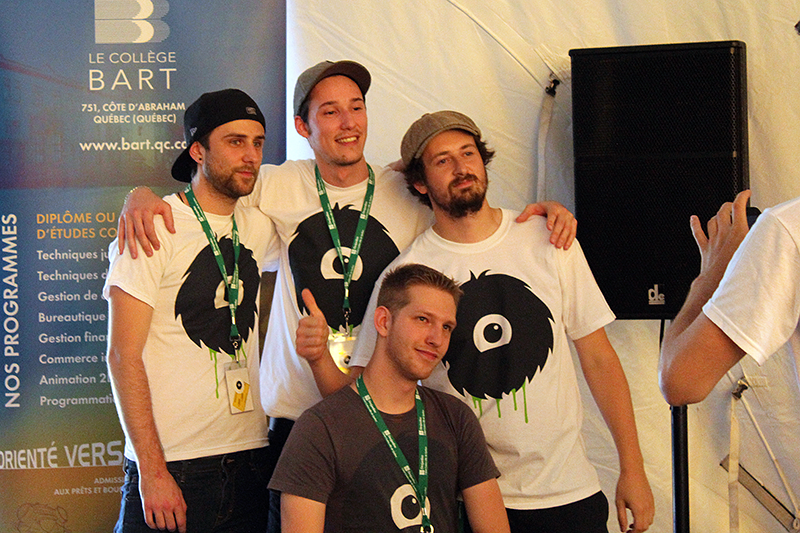 Juicy Beast was co-founded in 2009 by longtime friends Yowan Langlais and Dominique Lemire-Nault. 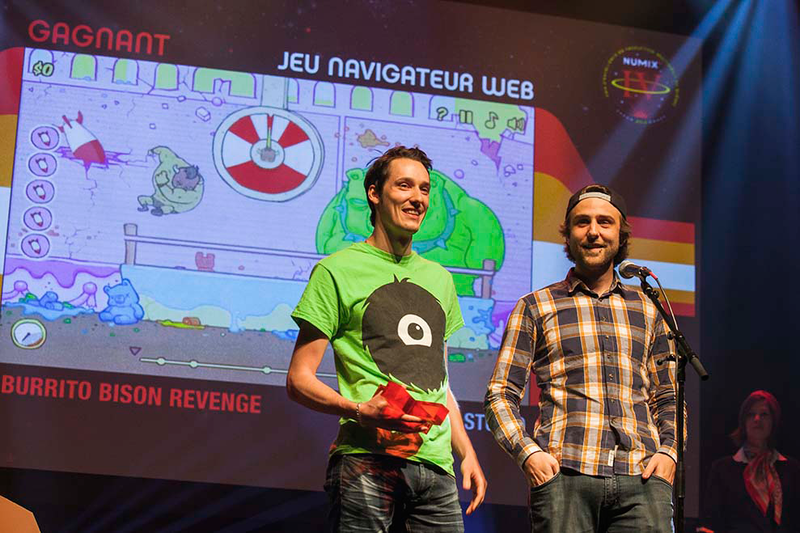 Programmer Alexandre Dazé-Hill and illustrator-animator Jean-Philippe Côté joined the ranks shortly after the legal birth of the company. 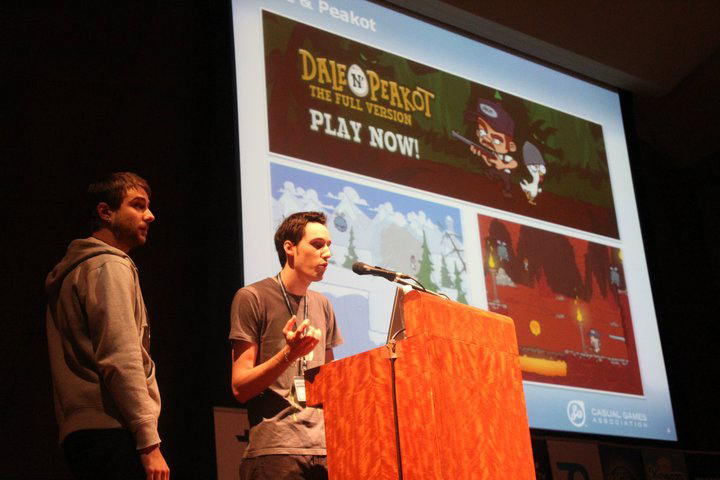 Fresh out of school and with no work experience whatsoever, the four friends took the big leap and released over 10 Flash games in the following years, including the successful Burrito Bison series and Knightmare Tower. 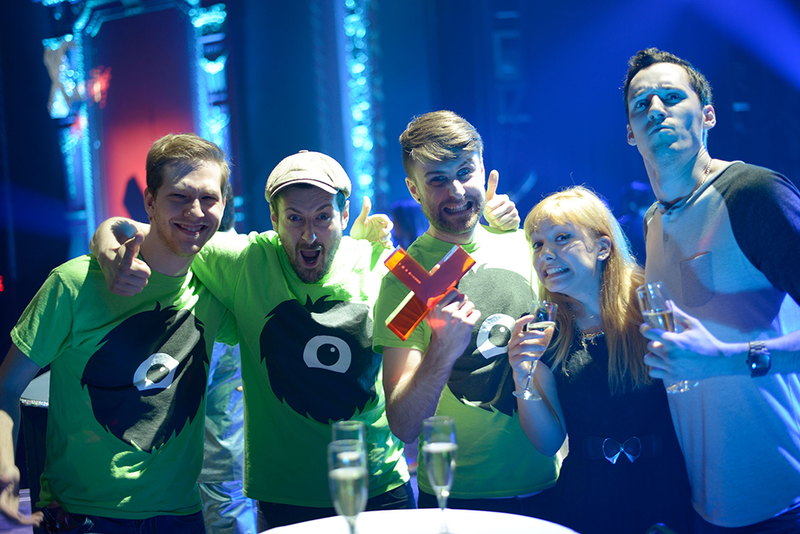 After releasing Burrito Bison on iOS with the help of developer Ravenous Games, they slowly shifted their attention towards new markets, and replaced their old friend Flash with Unity. Now with the ability to export to almost every platform, they completely revamped Knightmare Tower and released it on Steam, Ouya, Android and iOS, where it got featured by Apple as one of the Best Games of 2013. 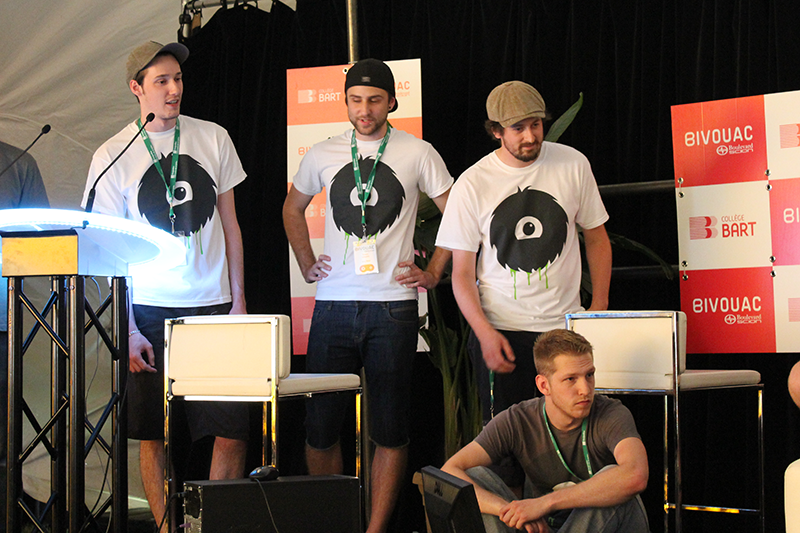 In May 2013, Juicy Beast participated in the Toronto Game Jam (TOJam) where they made a local-multiplayer party game called Toto Temple. The jam game got Ouya’s attention and they offered their financial help to develop a full fledged version of Toto Temple. In July 2014, the new and bigger version now called Toto Temple Deluxe is released on the Ouya store. In summer 2015, Juicy Beast is about to release a bigger and definitive version of Toto Temple Deluxe on PC and all major consoles, which will be their very first console release. There are far more images available for Juicy Beast, but these are the ones we felt would be most useful to you. If you have specific requests, please do contact us! 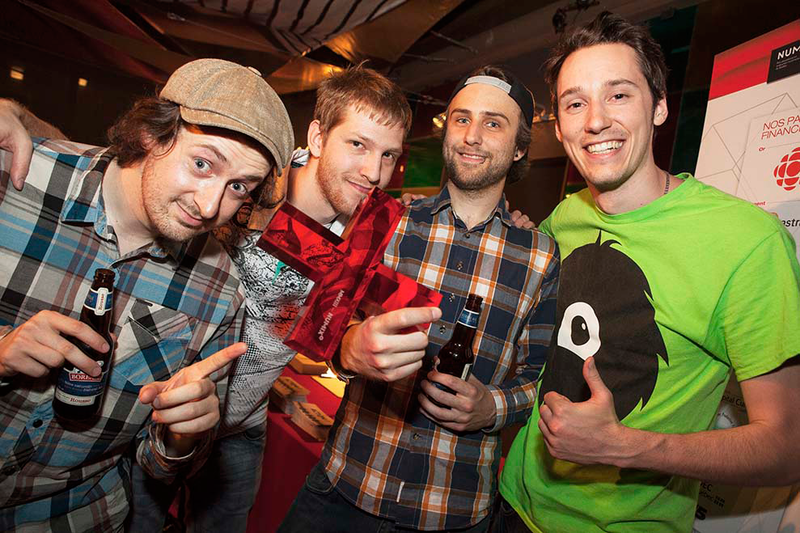 "Juicy Beast – Montreal’s Fab Four"
"Juicy By Nature, A Beast By Design"